for turning points in Japanese history. about the “Hidden Messages” left by the Shogun. 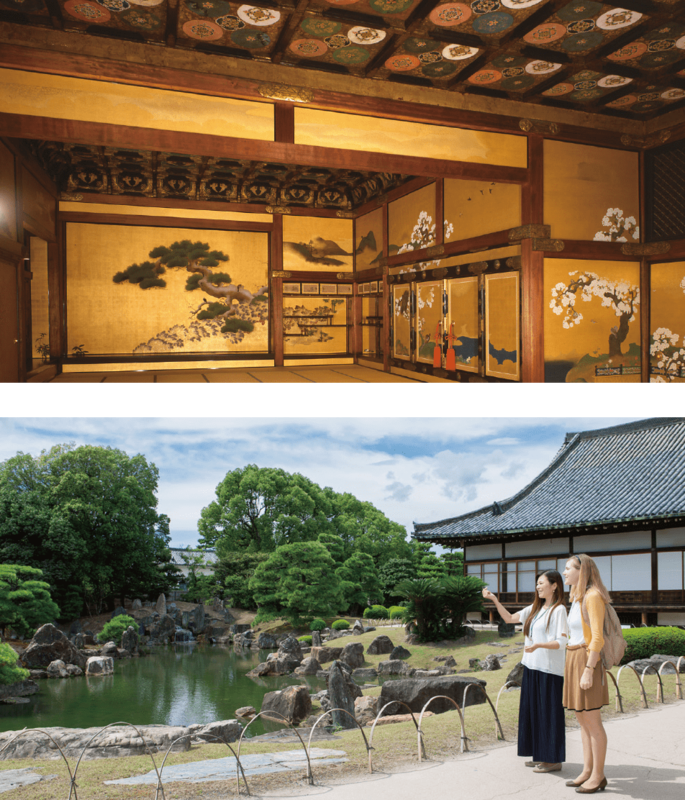 The Nijo-jo Castle English Guided Tour is a 90-minute tour conducted by the "City of Kyoto Visitors Hosts,” who are professional guides certified by the City of Kyoto. The foundation of Japan was formed during the Edo Period, which was under Shogunate rule for 265 years（1603-1868). 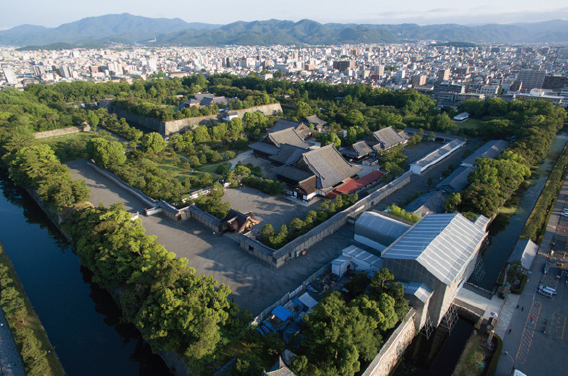 It all began and ended here at Nijo-jo Castle. 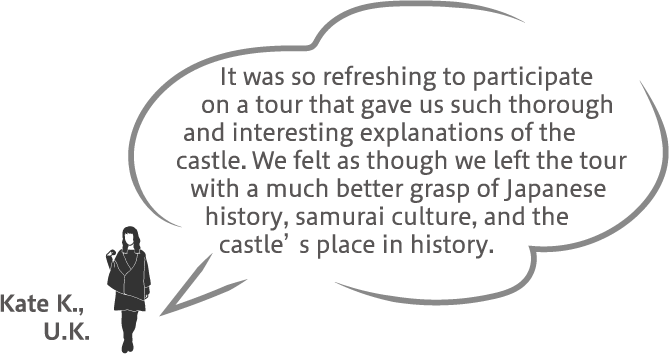 Let us look back at the various Shoguns and their stories, and learn about the influence the castle had from a historic and cultural perspective, and about how it played a major role in the social structure of modern-day Japan. During this tour, you will also be granted access to an area which is not open to the public! So join us for a tour brimming with passion and romance! Tour is operated on a first come, first served basis (Maximum 15 people). Free for one child (aged 0-12) for each paying adult. * Tour fee of ¥2,000 for second child onwards. 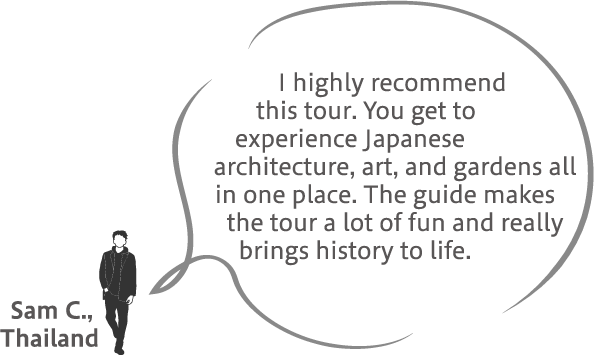 * Children under 12 years of age must be accompanied by an adult to participate in the tour. * Children under 5 years of age are not permitted on tour. The contents of the tour is subject to change without notice. 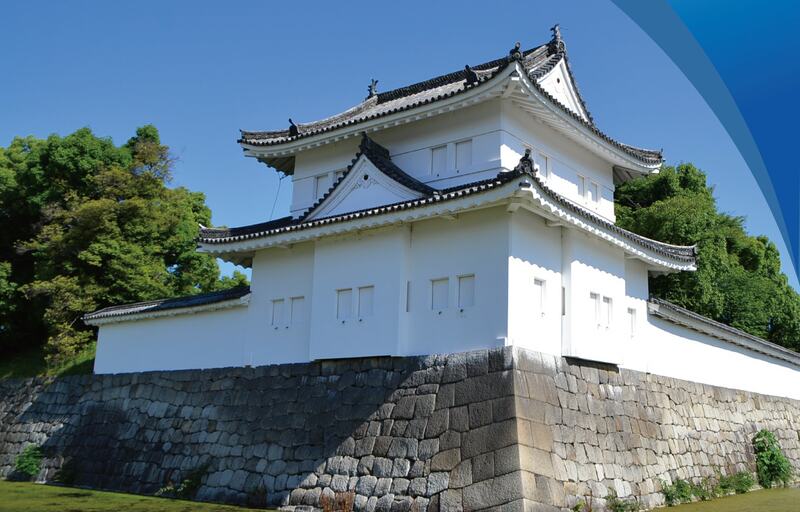 As with the non-guided tours, you are not permitted to touch exhibits or take photos inside the Ninomaru Palace. We are not responsible for any injuries sustained during the course of the tour. For reservations (with a 10% discount) and more information, please click here! City of Kyoto Visitors Hosts have undergone special training and been certified by Kyoto City. As of November 27, 2015—per the bill to amend part of the National Strategy Special Zones Act as well as the Special Zones for Structural Reform Act—Kyoto City has been certified as a special zone for structural reform under an exception in the Licensed Guide - Interpreters Act. The Kyoto Certified Interpreter Guide System was began following this certification. 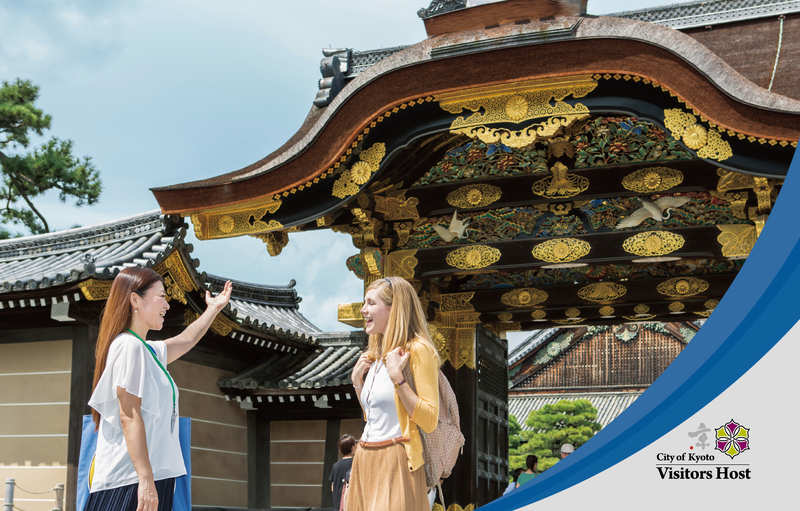 City of Kyoto Visitors Hosts are required to attend basic training to learn the basic guide skills of the program as well as specialized training to learn the more involved charms of Kyoto, including traditional industries and cultural assets. Hosts are then required to pass an oral exam. Upon passing, they become licensed special interpretation guides with regional limitations. As such, guides are only allowed to provide interpretation guide services for a fee within Kyoto City.